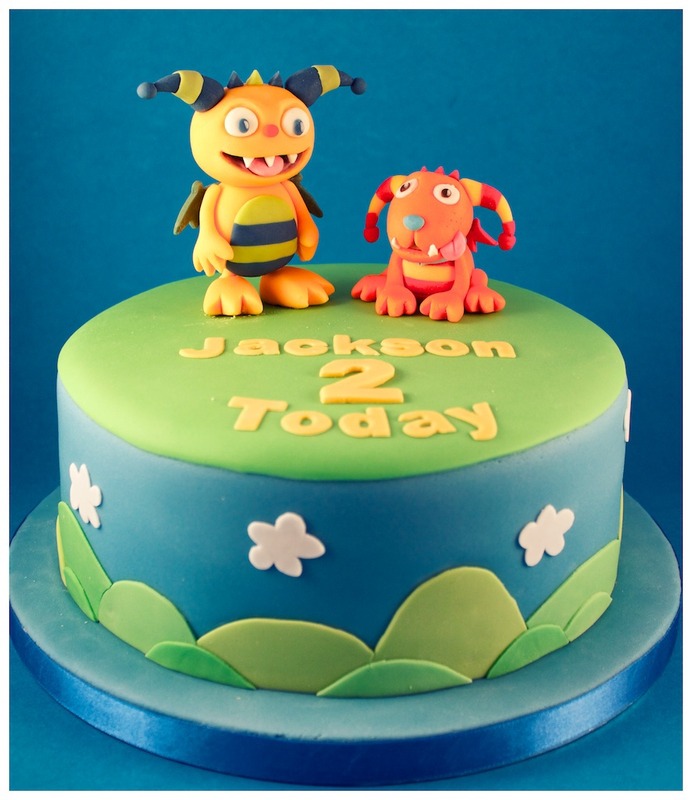 8" round vanilla sponge, buttercream filled cake covered with fondant/sugar paste. 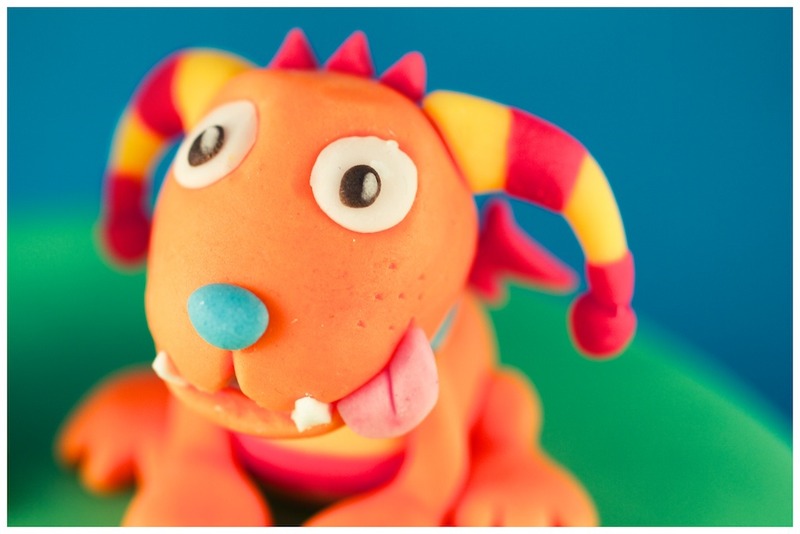 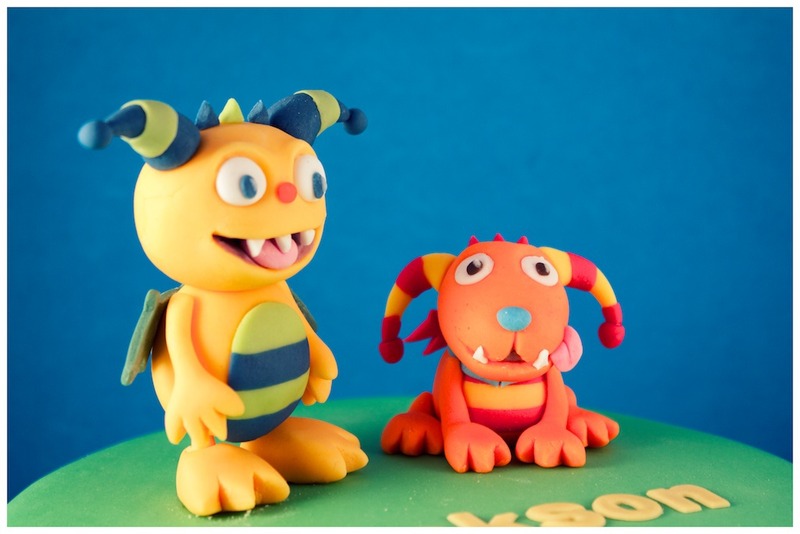 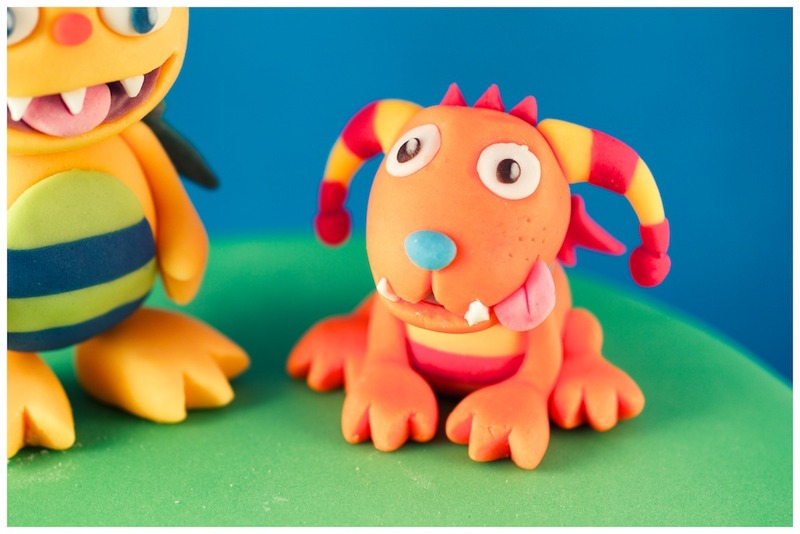 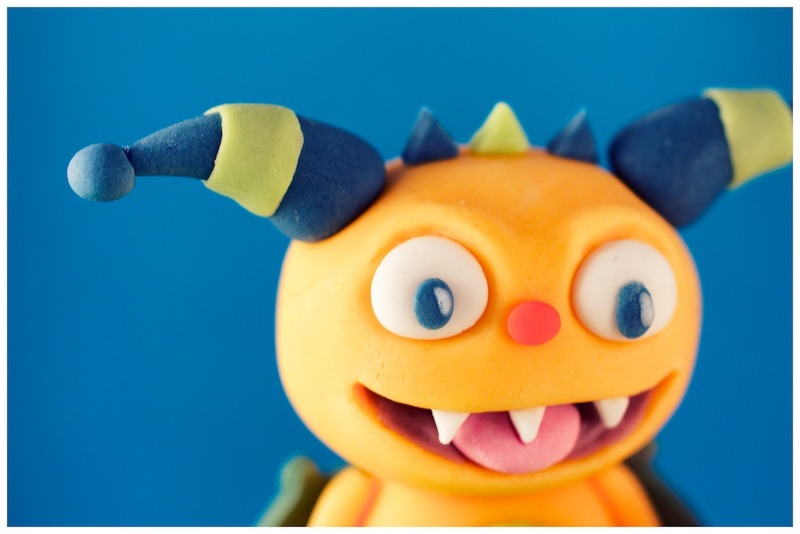 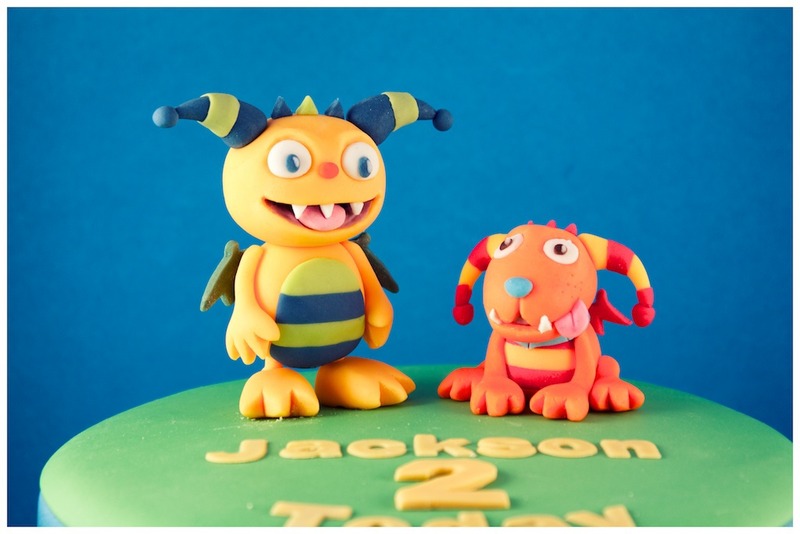 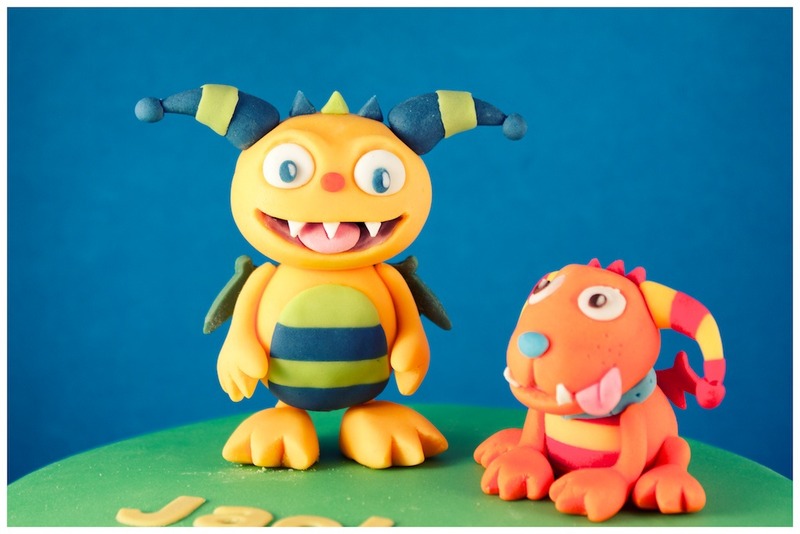 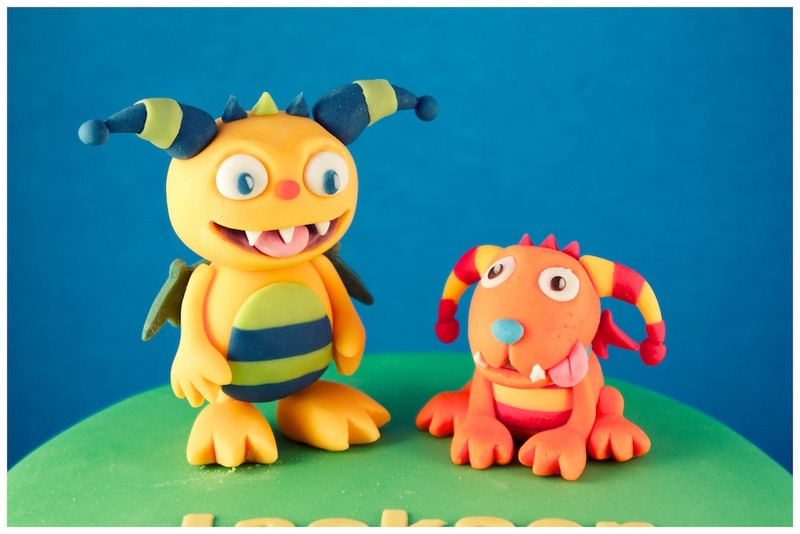 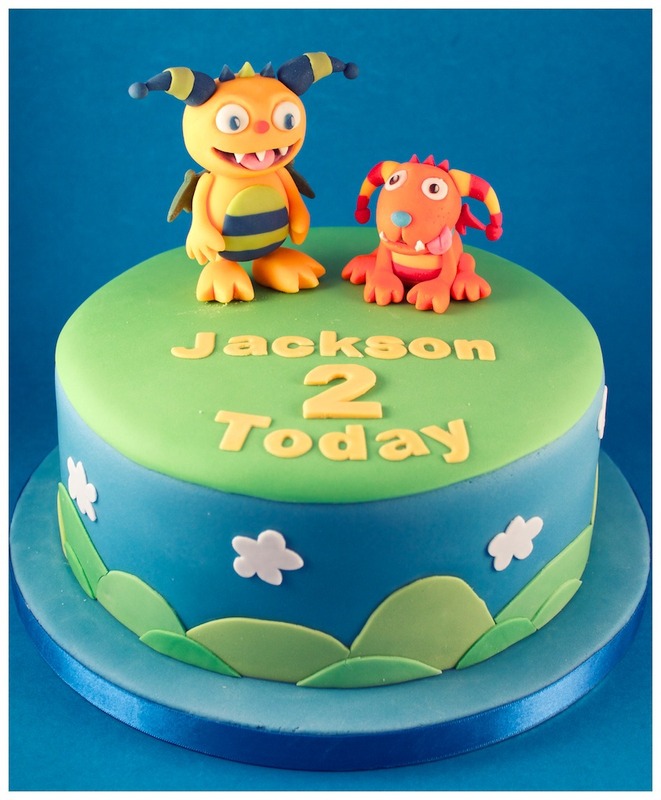 Topped with a detailed hand made gum paste figure of the Disney Junior cartoon character Henry Hugglemonster and his dog Beckett. 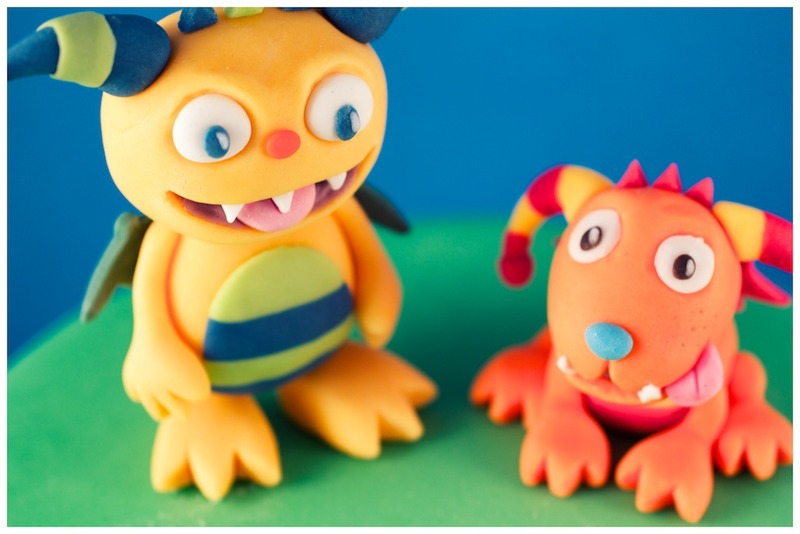 Its a super cute cartoon thats really well animated.